ECR Minerals plc is pleased to draw attention to the news release made yesterday by THEMAC Resources Group Ltd (“THEMAC”), stating that THEMAC has made the final payment due to the vendors of the Copper Flat copper-molybdenum-gold-silver project in New Mexico, USA for the amount of US$7 million and is now, through its wholly owned subsidiary New Mexico Copper Corporation, the holder of a 100% ownership interest in the project. This payment completes the exercise by THEMAC of the option over the Copper Flat project acquired from ECR in March 2011. THEMAC has also made a US$1 million payment for the acquisition of water rights required for the proposed future operation of the Copper Flat project as a mine. ECR holds 14.5 million shares and 14.5 million warrants of THEMAC, which is listed on the TSX Venture Exchange (code: MAC). ECR’s holding is equivalent to approximately 19.5% of THEMAC’s issued shares (22% fully diluted). All the warrants held by ECR are exercisable at C$0.28 per share; 4 million warrants are valid until 3 May 2013 and the remaining 10.5 million warrants are valid until 4 March 2016. The mid-market closing price of THEMAC shares on 24 May 2011 was C$0.605. The Company wishes to disclose that it intends to award 150,000 of the Company’s THEMAC shares and 150,000 shorter dated warrants to a third party as a finder’s fee with respect to the Copper Flat project. ECR would also like to draw attention to THEMAC’s news release dated 12 May 2011, which stated that substantially all key members of the team that will seek to develop the Copper Flat copper-gold-molybdenum-silver project in New Mexico, USA into a significant polymetallic mine are in place. Recent management appointments by THEMAC include W. Ferol Baker, most recently Mine Manager at the Franke Mine in Chile operated by QuadraFNX Mining Ltd, as General Manager of New Mexico Copper Corporation. Acting as Project Director is Ann Carpenter, who has over 30 years of international mineral development experience, most recently as President and COO of US Gold Corporation. Mike Anglin, who has held numerous senior roles with BHP Billiton, will act as Executive Adviser to THEMAC and NMCC during the permitting phases of the Copper Flat project and the anticipated construction phase thereafter. THEMAC has a five member board, including Kevin Maloney as Chairman and Barrett Sleeman as CEO. Kevin Maloney is the founder of The MAC Services Group Ltd, Australia’s leading provider of remote area mining accommodation and services which was recently acquired by Oil States International Inc. for in excess of US$600 million cash. In addition, John Cook, Director has extensive financial experience, particularly with regard to raising equity finance for natural resources companies; Joel Schneyer, Independent Director is currently Managing Director of Headwaters MB, an investment bank focused on the mining industry; and Ken Pickering, Independent Director until recently held the role of Vice President of Major Projects, Closed Mines and North American Assets for BHP Billiton Base Metals. All news releases made by THEMAC can be viewed on SEDAR (www.sedar.com). 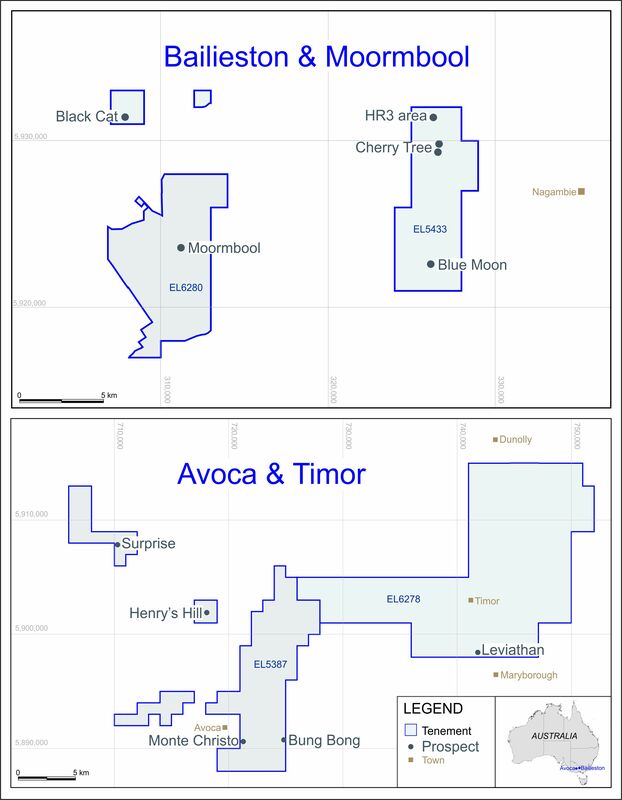 "In August 2009, ECR purchased an option over the Copper Flat project for US$150,000 and expended approximately £880,000 on the partial exercise of the option and on technical, legal and permitting costs before THEMAC began funding the project, including the exercise of the option, in March 2010. ECR’s work demonstrated the value of Copper Flat and enabled a transaction to be agreed to place the project in THEMAC, which we believe to be the right vehicle for the project’s long term development. In May 2010 the Company contributed funding to THEMAC via the acquisition of 4 million subscription receipts, which later converted to 4 million shares and 4 million warrants of THEMAC, for C$600,000. The Company has additionally incurred an estimated £250,000 of other costs to date in relation to the Copper Flat project and the sale of our option to THEMAC. Transactions such as this are at the heart of ECR’s business model, and are intended to create value for ECR shareholders through exposure to upside potential from a range of mineral projects. THEMAC now has a market capitalization in excess of C$40 million, and approximately US$17 million has so far been expended, initially by ECR and latterly by THEMAC, on the exercise of the Copper Flat option and on the project’s development. Development is proceeding aggressively, and it is hoped that the Copper Flat project will enter the construction phase within 18-24 months and enter production within 36-48 months.